Mr Cooper’s House & Garden is located in the luxury Midland Hotel in Manchester. The name of the restaurant pays homage to Thomas Cooper, a popular historical figure in Manchester who came from a family of coach-makers. The family’s house and garden, where the restaurant is currently located, was famous for the fruit that it produced and The Coopers would often open the doors of their garden to the general public so that they could have access to it for picnicking and leisurely strolls. The décor of Mr Cooper’s House & Garden has stayed true to it origins by offering a multitude of different dining settings. There is a lounge in the garden surrounded by a wall of plants and a 30ft tree, a cosy Library where drinks can be enjoyed, and a study area with leather booths where friends can enjoy intimate chats and some lovely food. 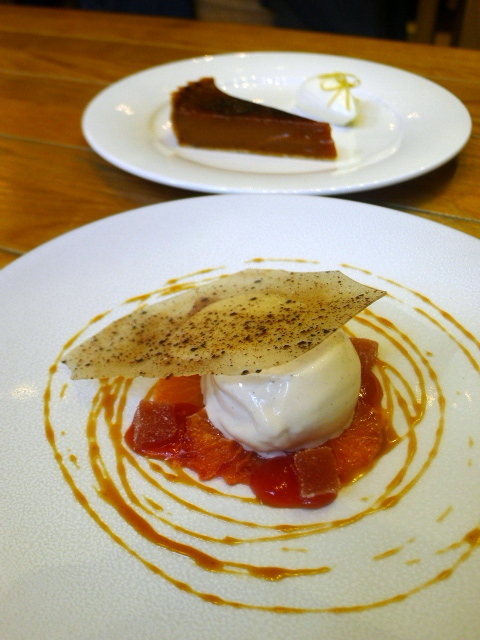 Mr Cooper’s House & Garden comes from the hands of Simon Rogan who is undeniably one of the best chefs in the UK. He tolds two Michelin stars at his flagship restaurant L’Enclume in Cartmel, as well as a one Michelin star at Fera at Claridge’s in London. With Mr Cooper’s House & Garden the food is more casual than that served at his Michelin outposts, but no less engaging. The menu centres on a spirit of flair and creativity, and particularly interesting were the starters with their many Asian-inspired touches. 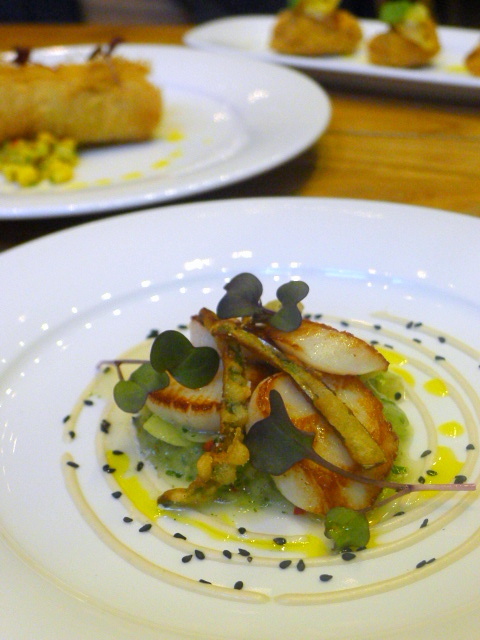 We started with some caramelised scallops (£11). These were nicely cooked and were accompanied by a delectable cucumber sambal, memorable because it was nice and tangy. To temper the sambal was a lovely tahini dressing, and as garnish there were some jalapeno fritters which were glorious. Surrounded by a light and fluffy batter, they offered a sharp bite to the dish. Fried oysters (£8.50) crumbed in a buttermilk and polenta batter were scrumptious. The coating was uniquely crunchy with a fabulous texture to it. Furthermore it kept the oyster nice and moist. Accompanying the oysters was an interesting and lively kimchee purée, some delightful pickled fennel and fragrant basil. 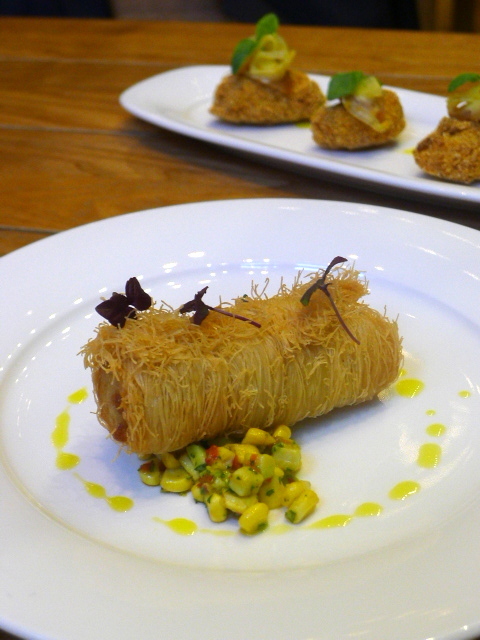 Crab kataifi (£7.50), sweet crab coated in a light and crispy kataifi pastry offered up an interesting texture and a contrast of flavours. Served with the crab was a deliciously sweet avocado and sweetcorn relish, red pepper sabayon and fragrant perilla leaf. 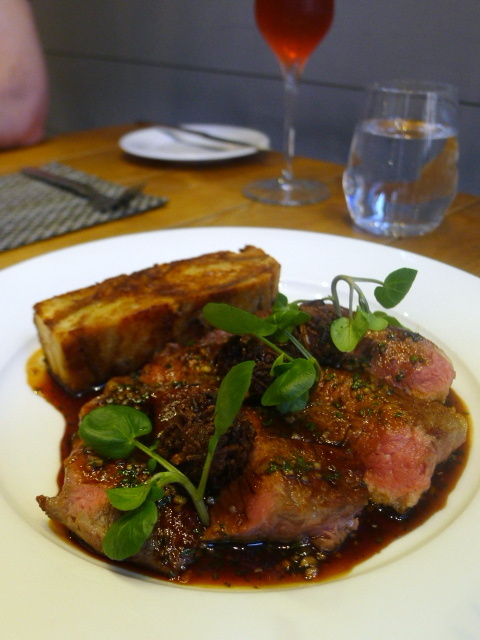 We tried the Cumbrian rib steak (£22.50) and this proved to very flavoursome. Cooked pink, it was tender and well seasoned. Also on the plate was a truffle pudding made using layers of croissant, truffle and parmesan. It was tasty and aromantic, but it was also incredibly rich and heavy, too heavy to eat in large quantities. A plate of Cumbrian lamb chops (£18.50) was our other main. 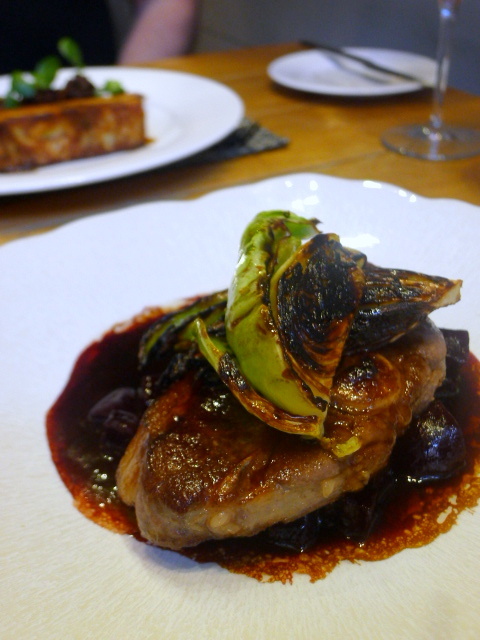 Served with balsamic roasted beetroots, star anise and cinnamon, the chops had a good flavour, but it was also a tad chewy and slightly fatty. The accompaniments worked well with the lamb. We loved the desserts. A tonka bean ice cream (£7) had an earthy flavour and paired well with the contrasting acidity and sweetness in the accompanying blood orange in miso butterscotch. 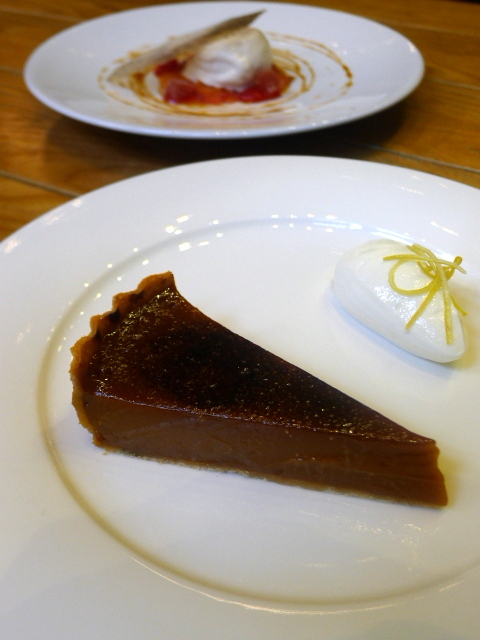 A caramel tart (£7) was gorgeous with its smooth, thick sweetness softened by a well-made mascarpone ice cream. 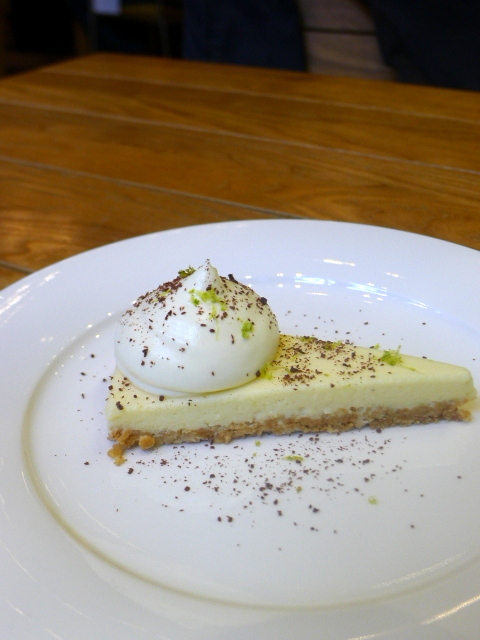 But the highlight dessert was the key lime pie (£7.50) which came with a delectable filling that was creamy, light and with just the right amount of tang. I really enjoyed the food at Mr Coopers House & Garden, especially the starters and the desserts. Given a chance to visit the restaurant again, I would probably skip the mains and choose additional starters as these were particularly original and interesting. As for the service, we had a really wonderful waitress who took great care of us. Conclusion – Mr Coopers House & Garden definitely gets the thumbs up from me. 2) The lovely, relaxed décor. 3) The warm, attentive service. 1) The mains were not as strong as the starters in preparation or their creativity. 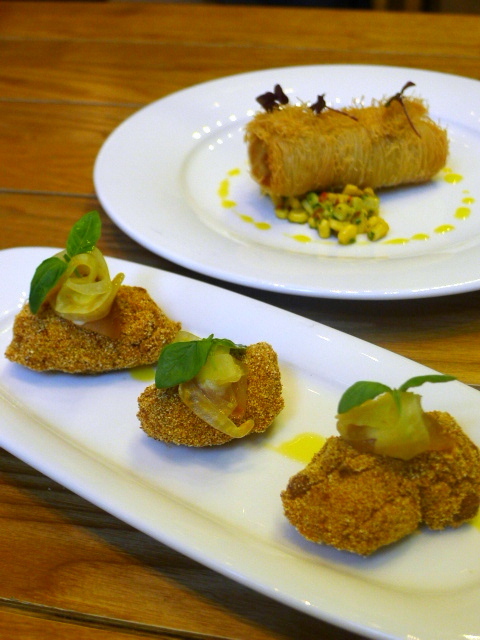 Three courses – £26 to £41, excludes drinks and service. The set lunch menu is £16 for 2 courses and £20 for 3 courses.